SEO is a marketing discipline focused on growing visibility in organic search engine results. SEO encompasses both the technical and the creative elements required to improve rankings, drive traffic, and increase awareness in search engines. Do you think an SEO service that works requires you to pay big bucks? When you choose Pay for Performance SEO, you are only concerned about that results, as that is the only thing you pay for! You can choose to pay on a monthly basis if the SEO service gives results, but we are sure you’ll agree with us that it’s better to know that your investment works. You have a website… what Else? A lot of people think they can address all their sales problems just by having a website, but the website, at its best, will only work as a tool. It only gives you the results that you want when the right people come across it. You could own a small business where you sell bricks and you want to promote sales… Or you offer web design service and you want to reach out to more clients without getting stuck doing the work… Are you an affiliate selling a product online? It doesn’t matter who you are or what you do… SEO is not easy! It is pretty difficult for seasoned vets, and not any easier for some noob who desires to feature on Page One on the cheap. SEO is time-consuming. It requires knowledge and expertise if you are ever going to get to the top. But the process is not even as difficult as choosing the perfect SEO service for you. SEO varies in the tactics used as well as in the pricing structure. You can choose to pay per hour, per project, on a monthly basis, or based on the results you get. The majority of SEO services are paid for on a monthly basis, but there are companies that allow their clients to pay only AFTER they see a positive change in their rankings. Exactly – nothing called upfront! No set-up fees. No long-term contracts. Affordable SEO Services. Review Upfront Pricing in 60 Seconds. What Is Pay for Performance SEO? 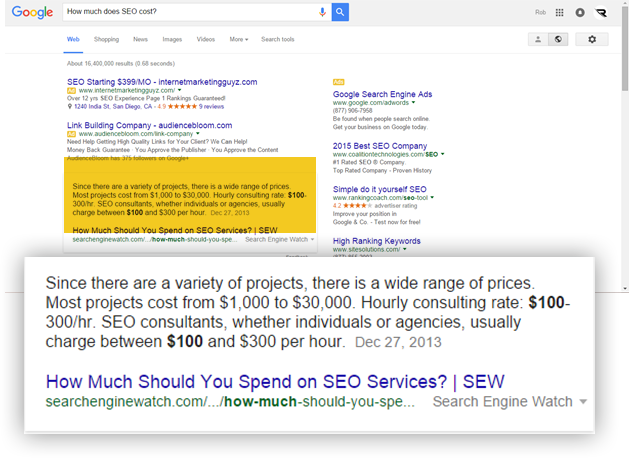 It means exactly what it reads – Pay for performance SEO. That is, you only pay for results. You don’t have to pay anything until your rankings go up. You get the point. This battle cries (predictably) come from SEO service providers. However, you might not be totally right to say that one beats out the other. Are you aware of the similarity between Alexa, Ahrefs.com, Moz, Raven Tools, and Majestic SEO? No, you can’t say they are part of some underground power circle laughing like a maniac in backrooms filled with smoke, holding cigars as they plot their next Google takeover. If you are yet to get our point, this hint will help. They developed tools to handle search data such as web rankings, keyword traffic, and fluctuations in the SERPs, and use it as actionable perceptions for their clients. Through a continuous compilation of this data, they generate educated inferences into the ways Google ranks web pages. They build tools to take search data (keyword traffic, rankings, and fluctuations in the SERPs) and turn it into actionable insights for their customers. By gathering this data over time they are able to make educated inferences into how Google ranks web pages. It is either you have the time (and essentially the knowledge) to do the job, or you let someone do it for you. Whichever your choice is, you will need some sort of investment to get results. And because organic traffics get the most visitors, irrespective of your industry, it will be a shame not to get results. SEO is an investment that takes time. You can never rely on Spammy link building to build sustainable rankings. Come to think of it this way: Google is rated in BILLIONS of dollars and the company’s success rests entirely on their continuous delivery of useful, relevant search results to the queries of the users. How then can you expect some schmuck hawking services that goes for $5 to offer a service that will beat, or even match Google at their own game? While cheap SEO services may (sometimes) work as a “churn and burn” hack to bump your rankings up, the risk to reward ratio is lopsided. Google has mastered the art of discovering blog networks and link schemes. It is even right to predict that their algorithm will certainly improve at eliminating manipulative linking practices tomorrow. If you are in business for the long haul, then you should be more concerned about long-term goals and growth. You won’t get that with sneaky black hat tactics. Sustainable results are what you should look out for when selecting your SEO service. Pay For Performance SEO Services, eliminates the need to pay upfront just because you want to invest in SEO, and then continue to pay on a monthly basis while you hope for a positive change in your rankings. This Search Engine Optimization Service works on performance. If you don’t rank, you don’t pay. You can launch your campaign in 60 seconds. Once you sign up to use our services, you only pay after your rankings have increased. There’s nothing hidden – it’s that simple. You have nothing to lose here! This service is provided by one of the most reliable SEO agencies. Pay For Performance SEO Services. 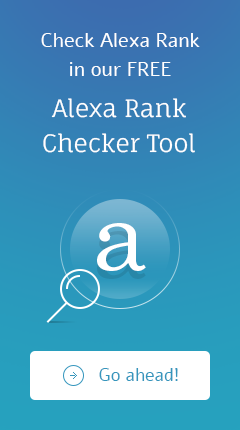 After a period of time constantly struggling with my Alexa Traffic Ranking, I have finally reached my much-needed position by partnering with Rankstore.com.